イラスト素材: Group of multicolor balloons, lifting up a house. 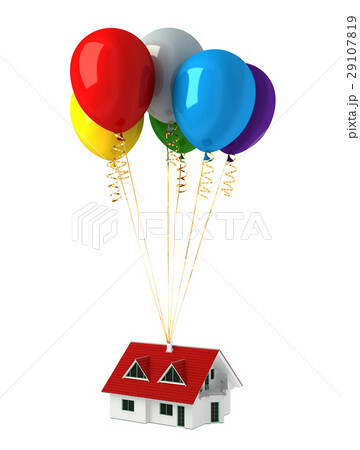 Group of multicolor balloons, lifting up a house. On white background, with clipping path.